The shoe was red, the red of London phone booths, New York fire engines, although these were not images that came to the man who first saw the shoe. He thought of the red of the Ferrari Testarossa on the calendar in the room where the butchers changed their clothes, the one with the naked blonde draped across it, seeming to make fevered love to the left head-light. He saw the shoe lying drunkenly on its side, its toe barely touching the edge of one of the pools of oil that lay like a spotted curse upon the land beyond the abattoir. He saw it there and, of course, he also thought of blood. Somehow, years before, permission had been given to put the slaughterhouse there, long before Marghera had blossomed (although that is perhaps an inopportune choice of verb) into one of the leading industrial centers of Italy, before the petroleum refineries and the chemical plants had spread themselves across the acres of swampy land that lay on the other side of the laguna from Venice, pearl of the Adriatic. The cement building lay, low and feral, within the enclosure of a high mesh fence. Had the fence been built in the early days, when sheep and cattle could still be herded down dusty roads toward the building? Was its original purpose to keep them from escaping before they were led, pushed, beaten up the ramp toward their fate? The animals arrived in trucks now, trucks which backed directly up to the high-sided ramps, and so there was no chance that the animals could escape. And surely no one would want to come near that building; hence the fence was hardly necessary to keep anyone away. Perhaps because of this, the long gaps in it went unmended, and stray dogs, drawn by the stench of what went on inside, sometimes came through the fence at night and howled with longing for what they knew was there. The fields around the slaughterhouse stood empty; as if obeying a taboo as deep as blood itself, the factories stood far off from the low cement building. The buildings maintained their distance, but their ooze and their runoff and those deadly fluids that were piped into the ground knew nothing of taboo and seeped each year closer to the slaughterhouse. Black slime bubbled up around the stems of marsh grass, and a peacock-bright sheen of oil floated on the surface of the puddles that never disappeared, no matter how dry the season. Nature had been poisoned here, outside, yet it was the work that went on inside that filled people with horror. The shoe, the red shoe, lay on its side about a hundred meters to the rear of the slaughterhouse, just outside the fence, just to the left of a large clump of tall sea grass that seemed to thrive on the poisons percolating around its roots. At eleven-thirty on a hot Monday morning in August, a thickset man in a blood-soaked leather apron flung back the metal door at the rear of the slaughterhouse and emerged into the pounding sun. From behind him swept waves of heat, stench, and howls. The sun made it difficult to feel that it was cooler here, but at least the stench of offal was less foul, and the sounds came not from the shrieks and squeals that filled the air behind him but from the hum of traffic, a kilometer away, as the tourists poured into Venice for the Ferragosto holiday. 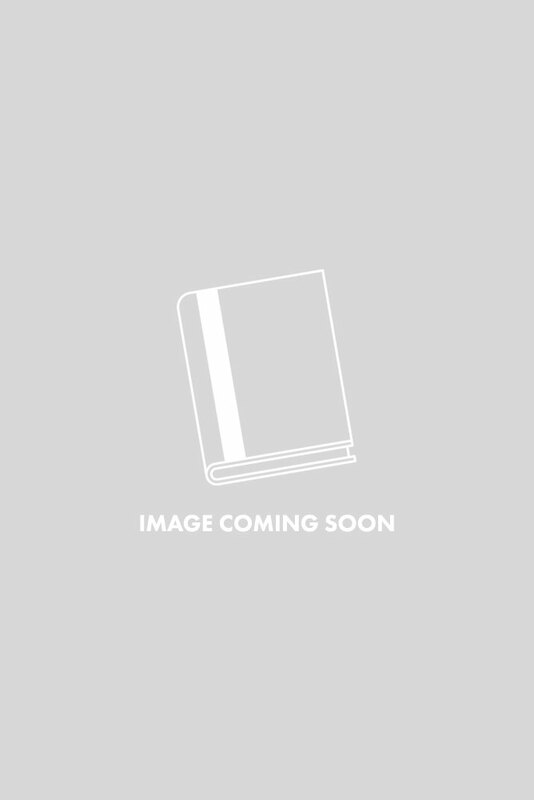 He wiped a bloody hand on his apron, stooping to find a dry spot down by the hem, then reached into his shirt pocket and pulled out a package of Nazionale. With a plastic lighter, he lit a cigarette and pulled at it greedily, glad of the smell and acrid taste of the cheap tobacco. A deep-throated howl came from the door behind him, pushing him away from the building, over toward the fence and the shade that was to be found under the stunted leaves of an acacia that had struggled to a height of four meters. Standing there, he turned his back on the building and looked out across the forest of smokestacks and industrial chimneys that swept off toward Mestre. Flames spurted up from some of them; grey, greenish clouds spilled out of others. A light breeze, too weak to be felt on his skin, brought the clouds back toward him. He pulled at his cigarette and looked down at his feet, always careful, here in the fields, where he stepped. He looked down and saw the shoe, lying on its side beyond the fence. It was made out of some sort of cloth, that shoe, not out of leather. Silk? Satin? Bettino Cola didn’t know that sort of thing, but he did know that his wife had a pair made out of the same sort of stuff, and she had spent more than a hundred thousand lire on them. He’d have to kill fifty sheep or twenty calves to earn that much money, yet she’d spend it on a pair of shoes, wear them once, then stuff them in the back of the closet and never look at them again. Nothing else in the blasted landscape deserved his attention, so he studied the shoe, pulling at his cigarette. He moved to the left and looked at it from another angle. Although it lay close to a large pool of oil, it appeared to rest on a patch of dry land. Cola took another step to the left, one that drew him out into the full violence of the sun, and studied the area around the shoe, looking for its mate. There, under the clump of grass, he saw an oblong shape that seemed to be the sole of the other one, it too lying on one side. He dropped his cigarette and crushed it into the soft earth with his toe, walked a few meters along the fence, then bent low and crept through a large hole, careful of the jagged, rusty barbs of metal that encircled him. Straightening up, he walked back toward the shoe, now a pair of them and perhaps salvageable because of that. “Roba di puttana,” he muttered under his breath, seeing the heel on the first shoe, taller than the pack of cigarettes in his pocket: only a whore would wear such things. He reached down and picked up the first shoe, careful to keep from touching the outside. As he had hoped, it was clean, had not fallen into the oily puddle. He took a few steps to the right, reached down and wrapped two fingers around the heel of its mate, but it appeared to be caught on a tuft of grass. He lowered himself to one knee, careful to see where he knelt, and gave the shoe a sharp tug. It came loose, but when Bettino Cola saw that what he had pulled it loose from was a human foot, he leaped back from the bush and dropped the first shoe into the black puddle from which it had managed to survive the night. 1. 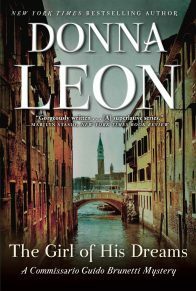 The novel opens at a slaughterhouse outside Venice, where the foul operations and by-products of butchering are concealed from the eyes and noses of the citizens who ultimately ingest their results. Why do you think the author chose to set the first scene here? How do the themes raised by this setting—brutal violence, hidden pollutants, pariah professions—resonate throughout the novel? 2. Brunetti is immediately skeptical of the assumptions made by police on the scene. Why do they believe the victim is a prostitute? What details, both about the circumstances of the crime and the victim, make Brunetti question that hypothesis as the investigation proceeds? 3. 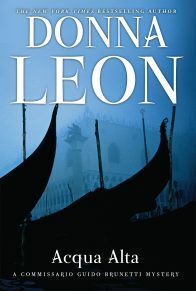 Leon’s novels often emphasize the importance of regional identity, including local dialect, in Italy. How does Brunetti approach his assignment in Mestre as a Venetian, and what does he do to establish a rapport with Gallo? 4. The customers who visit transgender prostitutes tend to be, as Brunetti says, “decent working men.” What does he imply when he characterizes them as such? Do you agree with Paola’s argument that their sexual tastes are in fact a form of deceit or hypocrisy? 5. When Brunetti visits Feltrinelli, he discovers that the prostitute continues to work despite having been diagnosed with AIDS (p. 68). Are his actions criminal? Consider Brunetti’s dilemma about whether the law has caught up with the hazard: if the action is not specifically outlawed, can it be persecuted? 6. When he visits another known prostitute, Brunetti is surprised to find the well-known lawyer Giancarlo Santomauro, who is also president of the local Lega della Moralit”. How does the attorney explain his presence? How does Brunetti, in turn, signal his skepticism? What does he ultimately learn about Santomauro’s reputation? 7. The cars of patrons who frequent Via Cappuccina are mostly “sedate, well-fed sedans—the car that takes the children to school in the morning, the car that takes the family to church on Sunday and then out to the grandparents’ house for dinner” (p. 92). What does this suggest about prostitution’s place in society? 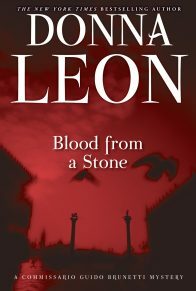 What are the dangers inherent in these illicit transactions, and who does Leon suggest are its greatest victims? Consider, too, the hypocrisy of these so-called family men, and recent examples of similar cases in the States (i.e. Ted Haggard). 8. Santomauro’s association with the Lega seems to be the height of hypocrisy, though a seemingly harmless one. But Padovani warns Brunetti to beware of “any group that assumes its own superiority”to other people,” driven by zealotry that ultimately boils down to intolerance and hatred (p. 157). Brunetti, on the other hand, suspects Santomauro has financial motives. Which argument is more convincing? Do activist groups tend to be motivated by ideology, financial gain, or both? Consider whether leaders and followers are attracted to the same movements for the same reasons. 9. Why does Suorí Immacolata continue to lie to Brunetti about his mother’s condition despite the fact that both recognize the deceit? Consider the lies that surface throughout the novel, running the spectrum from personal to social to institutional (or governmental.) Which are kindnesses necessary to personal relationships, and which are possibly toxic yet inextricable from the way society functions? 10. “To Brunetti, only the fact of the deaths mattered; all else was vanity” (p. 173). 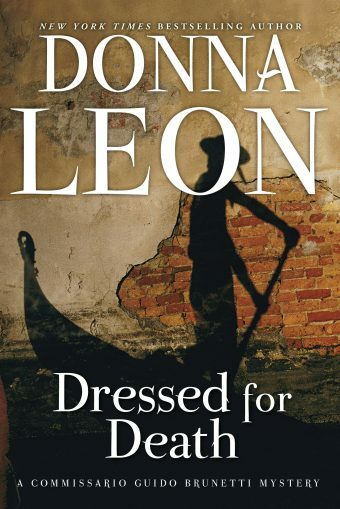 Signora Mascari’s refusal to entertain the possibility that her husband was a transvestite leads Brunetti to suspect she is trying to save face. But is it fair to call her reaction vanity? Consider how families react to a member’s death. What is at stake in preserving certain ideas and memories about the deceased? 11. According to Ravanello, what is the Bank of Verona’s main concern after Leonardo Mascari’s death? Brunetti downplays the risks, but is this a case where perceptions, right or wrong, prove more influential than facts? 12. Newspapers go wild with coverage of Crespo’s and Mascari’s deaths, and Brunetti finds that stories about Mascari’s transvestism have been planted by anonymous sources. How are Brunetti’s connections with the media helpful to his investigation, and how does the media’s coverage interfere or endanger it? 13. “Follow the money” is the rallying cry of investigative journalists and detectives. What does Brunetti find when he begins to investigate the Lega’s rent system and apartment holdings? Why is the Lega’s moralist credo an effective cover for its operations? (Consider the fact that Nadia Vianello had a difficult time locating any members of the supposedly popular Lega). 14. The Milanese couple are over-dressed, self-righteous, and smug when Brunetti begins interviewing them about their Lega-rented apartment, though they soon reveal their arrangement. How complicit are they in perpetuating this scheme? They may know very little about the Lega, but by agreeing to a suspect deal, are they partly responsible for the success of the entire operation? 15. Brunetti despairs that “there is not the slightest fissure into which [he] could introduce the truth” to the case (p. 290). How has Santomauro safeguarded himself from the investigation, and how has Mascari remained vulnerable to suspicion even after his death? 16. What makes Malfatti’s detailed confession to Brunetti essentially worthless? What other pressures are exercised on Brunetti, and his boss Patta, to disregard or discount Malfatti’s testimony? 17. Even after a witness seems to link Santomauro definitively to participation in the murder, how is the lawyer able to distance himself from the crime? How does he cast himself in order to seem sympathetic and even coerced? 18. “Once mud has been thrown”it cannot ever be fully washed off,” says Mascari’s widow (p. 341) at the close of the story. 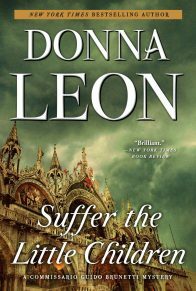 Reputation—its making, unraveling, and genuineness—is one of the central themes of this novel, and Brunetti agrees with Signora Mascari’s pessimistic view. In contrast, the self-made hero is a staple of American literature, in which reputation tends to be a pliant, easily shed and re-shaped characteristic. Consider how differences in Italian and American society (for example, social mobility, urbanization, immigration) might account for these divergent worldviews.